Mr. Manning is a member of the Taxation, Trust and Estates and Small Business Organizations Group. 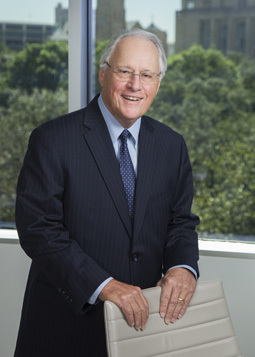 His practice is centered in the formation, organization and reorganization of business entities, the purchase and sale of business entities, real estate investment and development, income tax planning for individuals, corporations and partnerships, and representation in tax disputes. He additionally practices in the areas of health law and probate and estate planning. Georgetown University Law Center, Washington, DC, 1973 LL.M. The University of Texas School of Law, Austin, TX, 1971 J.D. Washington & Lee University, Lexington, VA, 1968 B.A.